//Powerhouse Animation created an explainer video for MetLife to illustrate the benefits of their MetLife Defender product. We used the client's branding to develop a sleek, simple, icon-based graphic style that allowed us to deliver their message with clarity. 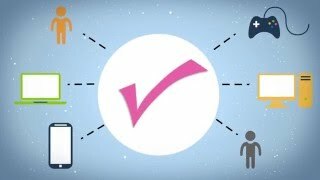 This video illustrates the unique qualities of MetLife Defender, as well as the risks and and annoyances associated with identity theft. We had a great time working with the MetLife team to explain the many essential protections that this product provides in this motion graphic style explainer video.